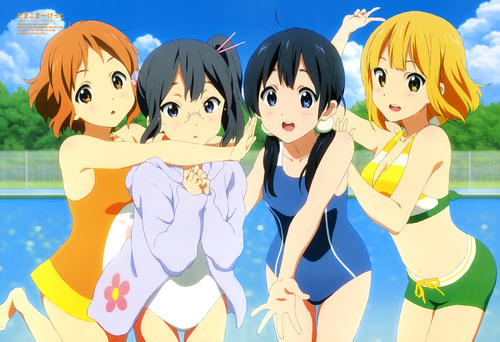 Rubenerd: #Anime Tamako Market mizugi! Between packing, moving and working on my university anime club’s website and membership systems, I haven’t had time to review the last two Tamako Market episodes Clara and I watched. I know, I’m as horrified as you are! While we wait for me to have a sliver of spare time, have this super cute Megami image of the girls from the series instead. Arigato.